AKIPRESS.COM - A team of doctors from the First Central Hospital and National Center for Maternal and Child Health of Mongolia and ASAN Medical Center of the Republic of Korea performed a liver transplant surgery, the Voice of Mongolia reports. One more successful liver transplant surgery happened. 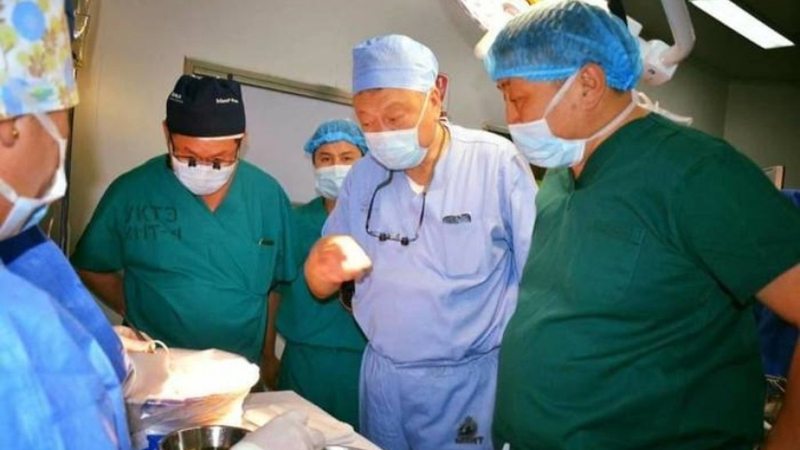 A team of doctors from the First Central Hospital and National Center for Maternal and Child Health of Mongolia and ASAN Medical Center of the Republic of Korea successfully performed a liver transplant surgery. The mother-daughter liver transplant surgery was performed for about 15 hours by the about 60-member team of doctors. 7-year-old L.Bujinlkham who was in a critical condition was thus given life by her mother. Minister of Health A.Tsogtsetseg congratulated the joint efforts of Mongolian and Korean surgeons in saving the girl’s life. She also exchanged views on further cooperation with the Korean doctors who have invited to co-conduct the surgery due to Bujinlkham’s critical condition. The surgery was the 34th liver transplant surgery performed in Mongolia, and the 3rd performed on a child.